I’ve put triathlon training on the shelf for a bit to focus on some other areas of my life and to try my hand at being just a runner. Reflecting on my 2017 journey, I’ve been thinking about how exactly I got here. I’m certainly not where I expected. It’s not good or bad it’s just different. The last thing I wrote about were the big why’s that keep me in love with sport written just days before Ironman Canada in July and nothing since. I was hoping that the next thing I’d write would be a humbly proud note about stamping my second ticket to IRONMAN Kona, but I didn’t write that because that didn’t happen. I thought my alternate post would be about trading one “K” for another, featuring the lead up and completion of a 7th Ironman in Kentucky instead, but despite training up until the month before the race and footing the bill for the entry that didn’t happen either. And in a final attempt to wrap a big beautiful bow around 2017’s race season, I thought I could share how a mini off season and some reflection had left me nothing less than stoked for the 2018 season but I didn’t write that either because I didn’t feel that way. Two months ago I did feel tired and I did feel confused as to was ‘happening to me’ but I didn’t feel stoked. I almost don’t even want to admit it because I pride myself on my high levels of stoke and my physical and mental resilience. Feeling like I can handle almost anything for any amount of time, especially triathlon training and especially while maintaining and fuelling the other aspects of my life while always being in the highest quartile of stokedness is a large source of personal pride for me. But last year was hard. Rewind to last fall, I came back from Kona on such a high. The race. The island. The Ragnar relay I threw i6 days after because I was still on the island. I felt unstoppable. I assumed it’d be just 12 short months until I’d be going back. 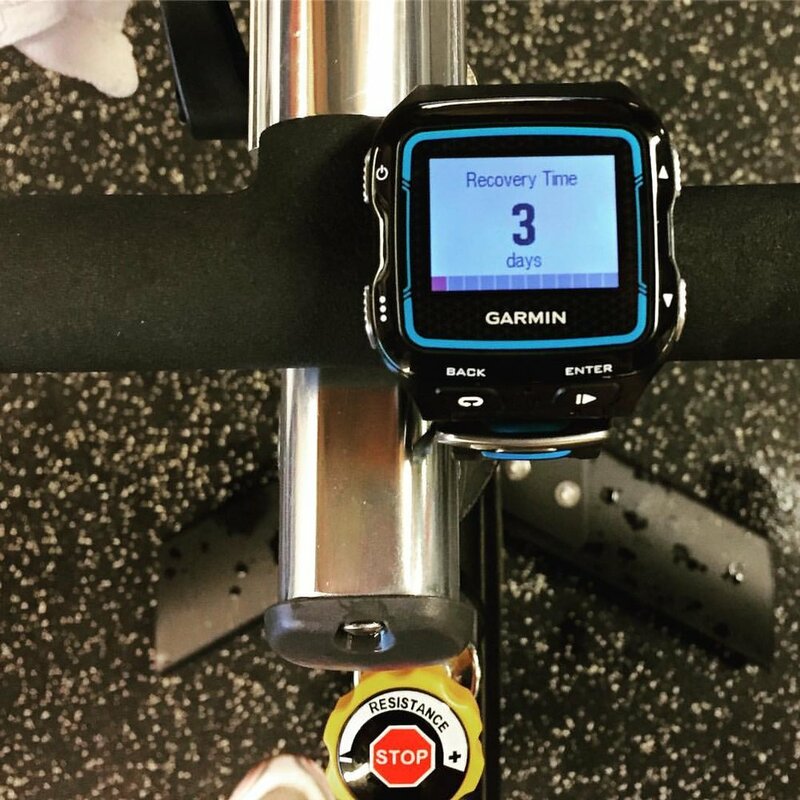 I took a few weeks recovery and then hopped right back in to the world of training, which in November looks like rainy and dark runs, hours of indoor cycling, doing clam shells in the gym and going to the pool and leaving the pool both in the dark. I knew this and it had never phased me until now. Previously I'd secretly loved gloomy weather because it made me feel even more resilient to be out there "no matter what". But I wasn’t feeling like myself. I was physically and mentally tired. I found myself wondering what I was doing while I was supposed to be giving my all in a spin class. I was almost motivated. I tried to hold my normally crystal clear vision of goals, future start lines and spandex in my sight but they were fuzzy at best. Meanwhile, my 9 to 5 world was exploding and it continued to for about 6 months and while I didn’t think about it at the time, it was causing me an enormity of stress. I saw a few health professionals and started taking some new things (Vit. D by the handful, Iron, and B12). Probably fixed right? I picked up skate skiing to add variety to my schedule and I tried a couple races (15k and 30k). I figured the excitement of a new sport would help fuel the fire for triathlon and it did. Kind of. I knew I wasn't feeling great but I also knew that a reality of training is fatigue and at the time I didn't notice the difference between normal levels of fatigue and what I was feeling. I saw some more professionals to bewitch my hips in to behaving, to cure my full-time fatigue, to help me feel less stressed all the time and to help me fall asleep at night and it kind of helped (ginseng extract, meditation, no caffeine after 10am and a bed-time routine). I did IRONMAN Canada in July and it was fine, I was 5th in my AG but I was devastated. Even with the signs and symptoms of deeeeep fatigue I just assumed I would have an amazing, break-through performance anyway. It was certainly possible but it didn’t shake out that way. My run and ride distance crept up again and low and behold I was still so tired. I so wanted to fully show up for each workout. I really did, but all of me wasn’t there to show up. I saw some more professionals because I figured there was a curable reason for why I wasn’t feeling like myself and the consensus was that after this Ironman, I actually needed to rest and that no amount of ginseng was going to fix it. It took a couple more weeks of lacklustre and actually hearing myself to talk about how I was feeling to my friends and family without my usual stokedness before I decided to call it all off. I knew that the human body and spirit are amazing. I knew that if I really wanted I could squeeze out a 7th Ironman but I also knew I didn’t need to, so I walked away. I took time to do nothing and really think about what I like spending time doing and what would excite me over the next few months. And here I am. Here being, after some R&R, someone who doesn’t swim or bike very often and who doesn’t have any events ending in “thlon” for awhile and honestly I'm having a lot of fun doing something I've always wanted to try: just run. Because "it takes so much courage just to start", (Winnie the Pooh) and it takes so much courage just to stop. While you have many energy systems (aerobic, anaerobic, alactic, etc.) you really only have one energy system. It’s the same one you use for everything. For training. For chasing goals. For your job. For your spouse. For your family. For when you worry. I squeezed every ounce out and if it were a toothpaste tube, it would resemble the days and possibly weeks when I act like that tube still has toothpaste somewhere in there instead of breaking the seal on a new one. Except I only have one tube and it fills back up if you let it.